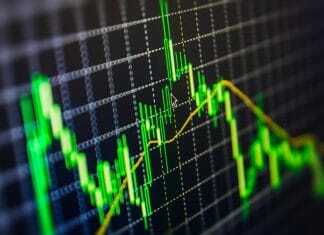 On February 25, the European Commission (EC) announced that the European Parliament (EP) and Member States had agreed to create two new categories of low-carbon benchmarks to help boost investment in sustainable assets. One of them is a climate-transition benchmark and the second one is a specialised benchmark that brings investment portfolios in line with the Paris Agreement goal to limit the global temperature increase to 1.5˚C above pre-industrial levels. The rules for the new benchmarks will be determinant in influencing large investment decisions. The Technical Expert Group (TEG) appointed by the EC in June 2018 is therefore working hard on fine-tuning the details. At the Sustainable Investment Forum Europe in Paris, on March 12, a panel of experts involved in the benchmark legislation commented on their work so far, and on the possible implications of the new rules. Among the panelists, Delphine Dirat joined the European Commission a year and a half ago, just in time to see the publication of the action plan for sustainable finance. The plan took into account the work of a high-level expert group (HLEG) appointed by the commission a year earlier. Shortly thereafter, the EC published an impact assessment, which evaluated the consequences of the proposed legislation. The legislative proposals came out in May 2018: one on the taxonomy, the second on disclosure and the last on benchmarks. This first step is called a “level 1 act” or “legislation act”. At this stage in the legislative process, Member states discuss the EC’s proposal and establish a new text, including their amendments. “Try-out” discussions ensue. These closed-door discussions between the EC and co-legislators lead to a political agreement. This was the agreement the Commission announced in February, regarding the benchmark legislation. What follows is the establishment of the “level 2 text”, which will specify the technical details of the legislative proposal. The European Financial Market Authority (EFMA) will vote on this text. Given the blend of both financial and environmental concepts, the EC appointed the TEG to help with those details, according to Dirat. According to Dirat, the agreement over the two new benchmark categories, including an obligation on disclosure for benchmarks, represents a huge achievement for the Commission and for the sustainable finance agenda. The climate-transition benchmark will bring the resulting benchmarked portfolio to a “decarbonization trajectory”. This represents a measurable, science-based and time-bound trajectory to reduce carbon emissions. It also implies that policy makers acknowledge the existence of emission reduction objectives disclosed by companies, which will be used for the selection rating and excluding criteria, at the discretion of the benchmarks’ administrators. For Dirat, this is completely different from what the Commission proposed. The EC proposed to codify the existing low-carbon benchmarks. This proposal is more ambitious and takes the proposal closer to what the Parliament wanted, which was to take into account, in the selection and weighting of these benchmarks, the companies that disclose their objectives to reduce the CO2 emissions. According to Dirat, the TEG will help to avoid greenwashing, which is a potential risk for this particular take on the new benchmark legislation. The second benchmark category is ‘Paris-aligned’. It means that the resulting benchmarked portfolio’s carbon emissions will be in line with the Paris climate agreement goal, to limit the global temperature 1.5 degrees compared to pre-industrial values. The definition is quite broad. The methodology and minimum standards which the Technical Expert Group will publish will form the base for the benchmark construction. Each benchmark’s methodology will have to include an explanation of how the key elements of E, S and G are reflected. In the benchmark statement, they will disclose whether or not they push through ESG objectives as well, and as of the 31st December 2021, all benchmark with the exception of interest rate and currency benchmarks should include information of the degree of alignment with the Paris agreement. These two new benchmark categories are labels, they are not mandatory, Dirat points out, but the disclosure is required for all benchmarks. The Technical Expert Group will help the EC in defining the minimum standard for the methodology of the two benchmarks, as well as the KPIs that benchmarks will have to disclose in their methodology and in their benchmark statement. Sébastien Lieblich, another panelist, is the Global Head of Equity Solutions at MSCI and the chairman of MSCI’s equity index committee. Benchmark providers are the primary target of this regulation and being involved is therefore crucial, Lieblich explains. 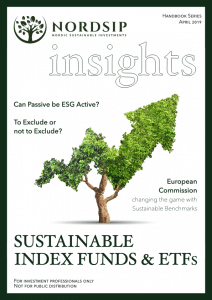 “MSCI is generally supportive of the sustainable finance initiatives coming from the European Commission. We supported the enhanced disclosure initiative of the European Parliament and actually pushed for extending the disclosure further,” he explains. “We already report on ESG for all our benchmarks and publish the carbon footprint for all our indexes, be they ESG or traditional indexes. However, we do have some concerns when it comes to the final text, which we believe may introduce unintended and harmful biases,” Lieblich says. Hoepner concludes the session in tandem with Lieblich. “If you’re not an asset owner, go and lobby policy makers. But if you are an asset owner, then maybe consider switching some of the assets, because that is a more persuasive argument to Sebastian at MSCI and his competitors at FTSE and elsewhere. I would like to close with the words of Guido Fürer, CIO at Swiss RE and a member of the TEG,” he says, quoting that: “Not every sustainable investment will have a great return, but non-sustainable investing is uneconomic. Not constraining your ESG risk is deadly and wrong”.